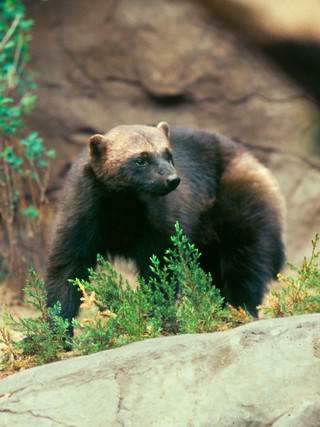 The Rocky Mountains are home to iconic wildlife, including bison, grizzly bear, wolverine, and several species of freshwater fish, roaming among outstanding wild areas, including some of the world's most famous national parks and protected public lands. 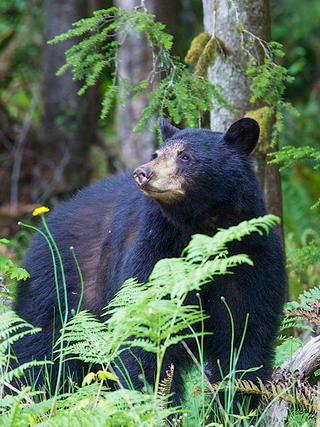 Protected area conservation was born in this iconic region, with success stories like Yellowstone, the world's first national park, Banff, Canada's first national park, and Gila, the U.S.'s first wilderness. These threats are compounded by the fact that support for conservation must compete against many other important and pressing needs for public attention. Use the best available biological and social science, work with diverse communities, tribes, agencies, and other partners to understand the needs of wildlife and people, and create and implement a large-scale applied conservation agenda to protect wildlife species and habitats throughout the Rocky Mountain West. Develop and implement a science-based, actionable, and collaborative conservation agenda across both public and private lands to secure the needs of wildlife facing an intensifying human footprint, climate change, and water scarcity. Work across jurisdictions and cultures to translate this agenda into action by informing decision-making, policies, and management of public, private, and tribal lands that support transboundary conservation outcomes. 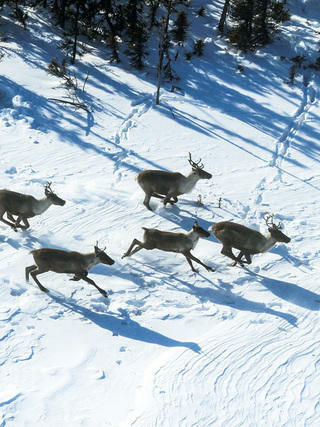 Connect diverse cultures and communities to the wildlife heritage of the Rocky Mountain West, and inspire conservation action in support of wildlife. WCS is uniquely positioned thanks to our collaborative approach, including with the increasingly diverse cultures and communities of the West, long-term expertise and presence, and commitment to applying high-quality science to inform conservation actions that impact wildlife at scale, across boundaries. Since our inception, WCS’s work has led to significant victories for wildlife that have literally changed the conservation map. Among the most notable are the creation of Path of the Pronghorn, the first federally recognized wildlife migration corridor in the United States and restoration of free-ranging bison on tribal lands where bison are of critical cultural and economic importance to Native Americans. 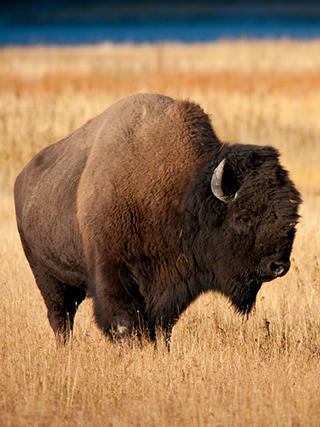 First signed in 2014, the historic Buffalo Treaty has now been signed by 21 tribes and First Nations in the U.S. and Canada. 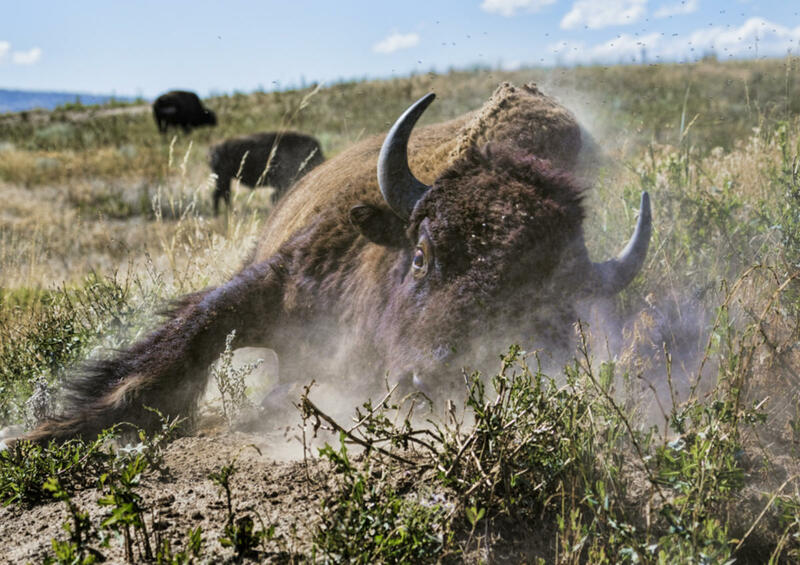 This international agreement, initially conceptualized by WCS and members of the Iinnii Initiative, expressed the commitment among these nations for collaboration, cultural preservation, land conservation, youth education, economic development, and restoration of bison. Each spring and fall, hundreds of pronghorn migrate 170 miles to and from their important summer range in Grand Teton National Park. All of the pronghorn in Grand Teton National Park depend on this single corridor for their seasonal migration. Thanks to WCS science and our collaborative approach, in 2008, the "Path of the Pronghorn" became the first federally designated migration route. With this designation, thousands of acres of conservation easements, and a spectacularly successful wildlife overpass, this corridor is now secure. Bold: We value ambitious and innovative approaches to conservation in order to have big impacts for wildlife. Targeted: We are explicit in targeting the levers of change and identifying the path to influence that change in order to achieve wildlife conservation. Transboundary: The wildlife we value knows no boundaries. We work across jurisdictional and cultural boundaries to protect wildlife species and the ecosystems upon which they rely. Intercultural: We believe engaging diverse communities and partners in conservation is critical to ensuring that wildlife and wild places continue to thrive, and to do so in a way that respects and values the diverse cultures of the West. Scalable: Our on-the-ground landscape investments are explicitly designed to serve as models for a broad array of conservation partners and innovative actions across the Rockies. Scientific: We keep wildlife at the core of our mission and serve as the voice for science-based wildlife conservation in the Rocky Mountain West. Collaborative: We embrace a collaborative approach to our conservation work, forming a strong, multidisciplinary team and building trusted relationships with partners to achieve shared outcomes. Action-oriented: We move beyond vision creation to on-the-ground conservation actions that benefit wildlife.